We interview spy authors, intelligence experts and spy fans! 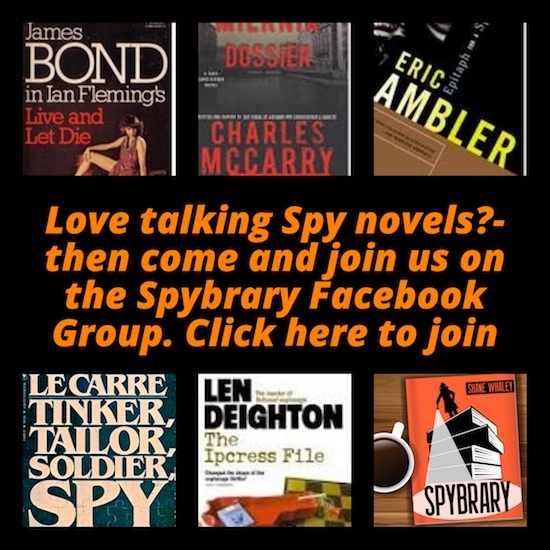 Our goal is to encourage people to read new spy novels, revisit an old espionage classic and discuss them with our community of like minded spy fans. ‘I am not a literary expert, I was not an A grade English student yet I loved to read from early age. I always had my nose in a book. Starting with Captain W.E. Johns’ Biggles, then to Leslie Charteris’s Saint and progressing to Ian Fleming and John Le Carre. says Shane. ‘My friends are not really into the spy genre. After reading a spy book I always want to dig deeper, to find out more about the author, plot, characters, locations etc. More than anything though I wanted to chat with other spy book fans to hear what they thought. So the Spybrary Spy Podcast and community was born. Spybrary Spy Podcast is all about discovering new works as well as revisiting the spy classics, on stage, screen and in print! Spybrary Spy Podcast attracts over 1000 listeners a week and boasts a healthy community of spy fans and geeks over at the Spybrary Facebook Group.